How To Delete Or Edit Multiple Posts At Once In Tumblr? Tumblr.com is a micro-blogging platform mostly targeted at users who want to create short posts about their daily life, things they see and things they like to do. Tumblr makes posting very easy and has good features such as reblogging and following a blog. 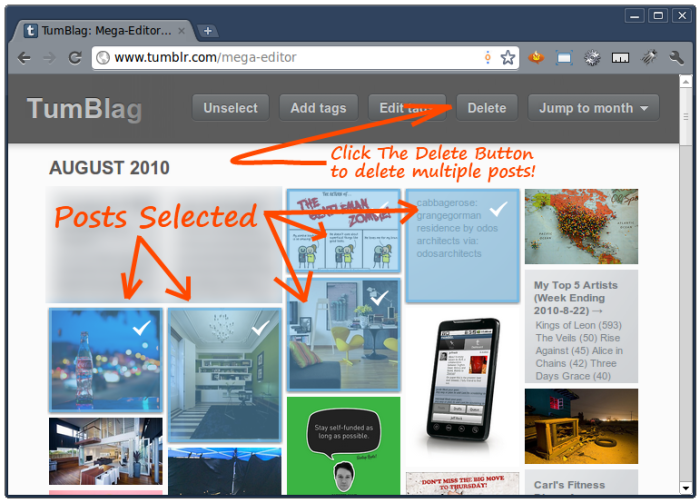 In this article we will tell how to delete multiple tumblr posts at once from your tumblr account. 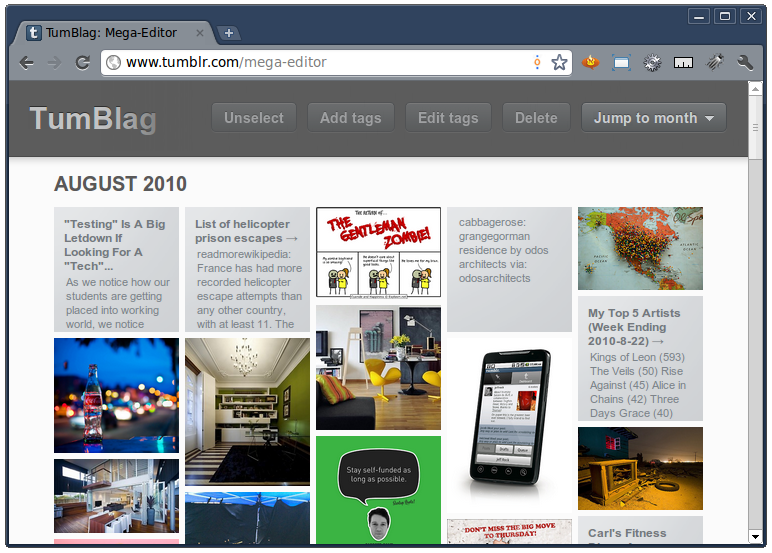 The Tumblr Dashboard has a cool feature called the Mega-Editor. The Mega-Editor lists all your Tumblr posts in the same way as you can see them on the Tumblr Archive page. This Mega-Editor can be accessed at: tumblr.com/mega-editor. Of course, you need to be logged in to your Tumblr account in order to access the mega editor. The Mega Editor lists all the posts from all your tumblelogs (Tumblr posts) in one page. If you want to list only particular posts from any one of your tumblr blogs, then you can access those by visiting this url - http://tumblr.com/mega-editor/[blog-name]. Read More About: Interesting stats about your tumblr blog ,Generate XML sitemaps for your Tumblr blog!